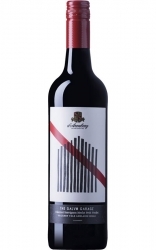 Provenance wines were established in 1997 by Scott Ireland, with the label having a focus on producing wines that exhibit the distinctive characters of some of Victoria's lesser known, but in my mind most underrated regions, namely Geelong, Ballarat and Henty. The name Provenance means 'place of origin' and represents how great vineyards and growers are those who allow the creation of wines of great quality and character. In talking to Scott you can't help but observe the passion he has for what he does. The Provenance label was not born out of financial entitlement or fortunes made in parallel industries, it was ground out of hard work and a general love of what he does, with the resultant wines produced speaking volumes of Scott's passion. 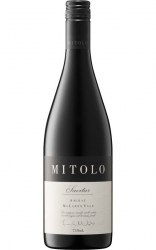 Scott is also the winemaker for a number of high profile wineries in the Geelong and Ballarat regions and believes this has enabled him to hone his wine making skills due to the many parcels of fruit from vineyards he sees each vintage. This experience aligns with Scott's view on single vineyard wines versus those that are blended from multiple vineyards within a region. Scott had a welcomingly refreshing view to the debate in supporting the blending of wines to enable the sum of all parts to produce the best possible wine, rather than believing only single vineyards will make the best wine. I often wonder whether single vineyard is more marketing than anything else, given there is a meso and microclimate within every vineyard. Provenance has only recently planted their very own vineyard in Scotsburn near Ballarat, the site has been planted to Pinot Noir at the end of 2012, and the count down is on until the first vintage is produced, which i can only assume will be around 2016. In terms of clones MV6, 777 and Pommard were selected both due to their suitability for the site, but also their differing flavour profiles in finished wines. Located on Steiglitz Road in the Moorabool Valley sub-region of Geelong, Darriwill vineyard is an awesome 9 acre Pinot Noir vineyard. Established in 1998 in a natural ampitheatre with slopes facing south-east to north-east, it has been planted in..... what can only be described as a mixed manner. Various clones and rootstock combinations are mixed across the slopes and nobody knows exactly what is where. Happily this works well in ensuring complexity of fruit character at harvest. Soils range from sandy loam at the bottom of the slope through to basaltic rock/loam at the top of the slope. The Grassy Point vineyard was first established at Coatsworth Farm in 1997 when partners David Smith and Robert Bennett & Kerry Jones purchased the 32 hectares (80 acre) undeveloped grazing property. The land, near the seaside village of Portarlington is in a rural pocket of the Bellarine Peninsula Victoria, Australia. 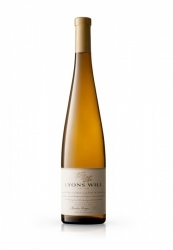 It was selected for its undulating northerly aspect, sandy loam soils and maritime climate. Grapes varieties most suited to this cool-climate region were planted. Initial plantings included pinot noir, chardonnay, cabernet franc, malbec and merlot. Shiraz and sauvignon blanc were planted in the following years. Trellising runs north-south and is set up for VSP. Plantings are on raised and/or mulched beds with vines on a 3 x 1.6 metre spacing. The Pierrepoint vineyard was established by Andrew and Jennifer Lacey in 1998. The Estate is a small family owned and operated vineyard and winery. Mount Pierrepoint Estate specialises in producing Pinot Noir, Chardonnay and Pinot Gris. The vineyard is located in Tarrington, 10km south east of Hamilton, in the Henty Wine Region of Victoria, Australia. The vineyard is situated on the foothills of Mount Pierrepoint at an altitude of 200m and has an average rainfall of 700mm. The first vines planted were Pinot Noir in 1998, the Pinot Gris vines were planted in 1999 and the Chardonnay vines were planted in 2001. The predominantly red buckshot soils of the vineyard are derived from ancient volcanic basalt which is rich in minerals and is free draining. The vines are situated on a north facing slope, and are hand pruned and de-budded to ensure they balanced crop loads. The Sinclair vineyard is situated on Wiggins Road Scotsburn and was purchased by David and Barbara Sinclair in June 2001. Located on the eastern slopes of Mount Buninyong the elevation of 550 metres ensures true cool climate growing conditions. The soils in the vineyard are of volcanic origin with silty clayey loams and some sandstone rocks. The climate is characterised by cold winters and warm to hot summers with average annual rainfall of 700mm. Sinclair vineyard was established in 1997 with 3 acres of Chardonnay (clone I 10V5) and 2 acres of Pinot Noir (clone MV6) being planted, a total of over 4500 vines. The vineyard is watered by drip irrigation with the water pumped from a dam on Back Creek, which flows from the north-eastern slopes of Mt. Buninyong. The vines are caned pruned and trellised to maximise the fruits exposure to sunlight. Cropping levels are maintained below 2 tonnes/acre to ensure high quality, cool climate fruit. Bird netting is used to protect the crop and ensure that it can be picked when the sugar level and flavour characteristics have reached optimum levels. The fruit is handpicked usually in April or early May. Owned by Ann & Peter Spence, the Spence vineyard is situated 10km south of Bannockburn and was chosen after an extensive three year search. Established in 1997 on north to north-east facing slopes the vineyard has low to moderate vigour soils which ensures the vines do not produce high yields or excessive canopy growth. These soils are made up of red sandy loam topsoil, ironstone gravel layer over a mix of red clay and limestone subsoils. All fruit is handpicked, ensuring only the best possible fruit arrives in perfect condition. All vines are cane pruned by hand. Yields are closely monitored and all varieties are thinned to achieve target yields and improve intensity of flavour. Target yields vary between 1-2 tonne/ acre, depending on variety. 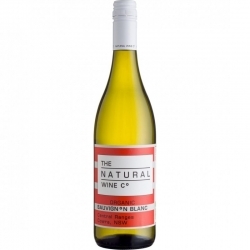 The wines produced under the Provenance label are very good, with the Pinot Gris amongst the best i've tried in Australia, the winemaking process and resulting complexity was more akin to a top Chardonnay than a Gris. Scott is also doing some interesting work with large format barrels and cement eggs for maturation of his Geelong Shiraz. 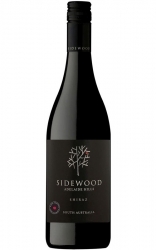 In time it's hoped that a reduction of wood characters will help create textural, savoury and meaty expressions of Shiraz that will be a differentiator in the region. Pinot Noir is my favourite variety from Provenance with the wine being a stylistically Geelong and Bellarine expression that has the same depth and structure as a Bannockburn or By Farr, but with more attractive upfront florals. The wines across the board reflect tremendous value and given Scott pursuit of excellence i can only see them getting better.